The Lord of the Rings Anduril battle ready sword is a recreation from the popular trilogy written by J.R,.R. Tolkien. The Anduril is hand Crafted with 5160 High Carbon steel, dual hardened to a Rockwell of 60 at the edge and 48-50 at the core. The beautifully detailed leather handle is accentuated by the unique pommel, making this one of the most recognized fantasy swords. 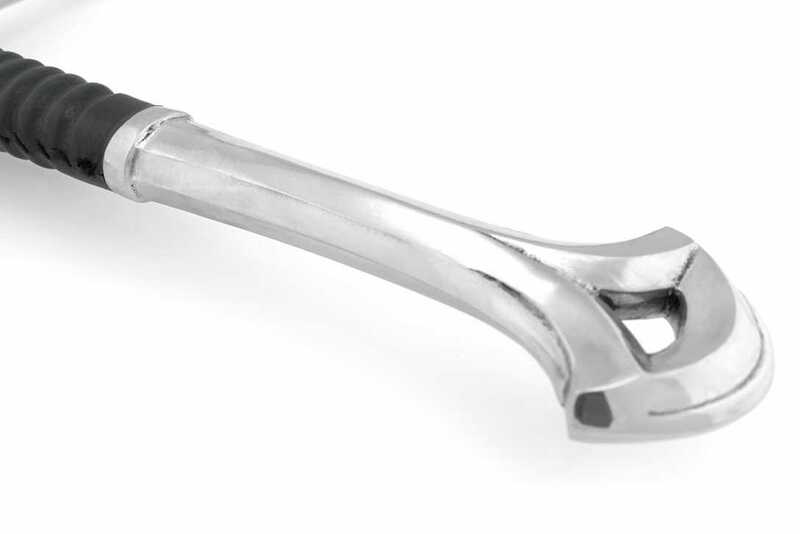 The blade is forged with a deep full length fuller. 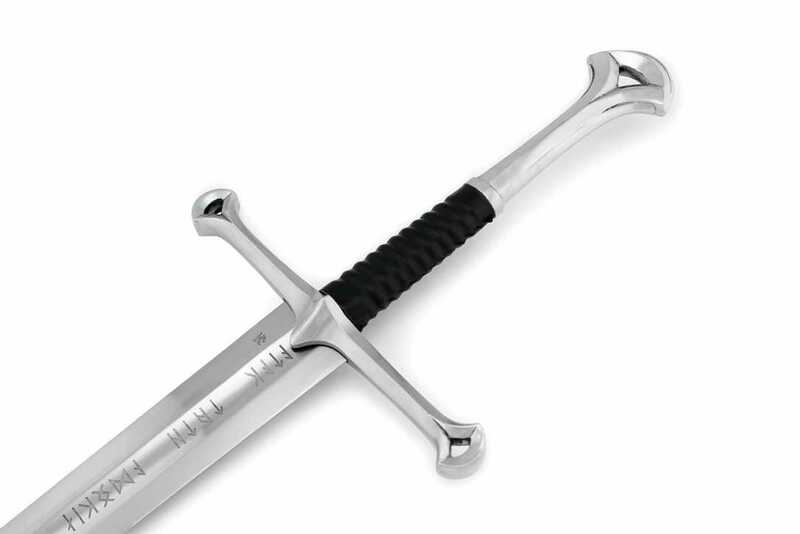 The Anduril sword, as with all our swords, is battle ready sword. 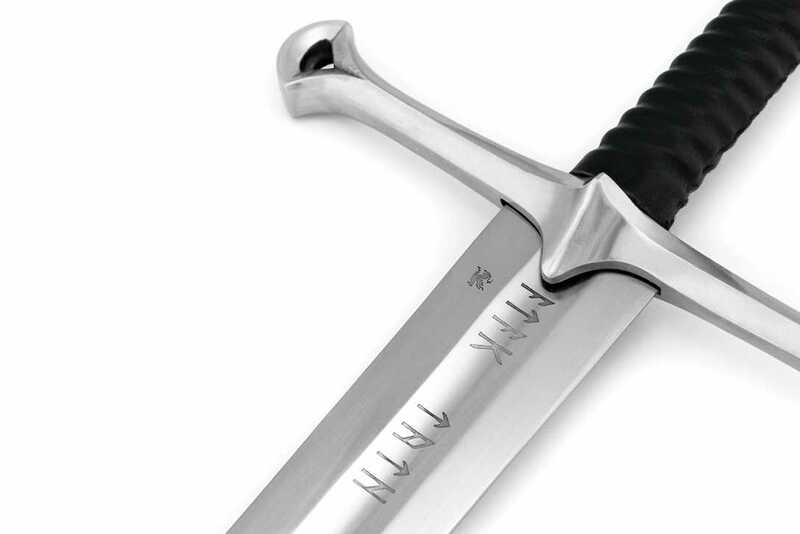 Given the pommel geometry, the Anduril sword was not topped with a peened pommel but rather hot peened. That being said, the pommel and tang were heated and pressure set. This is a favourite among fantasy sword collectors. 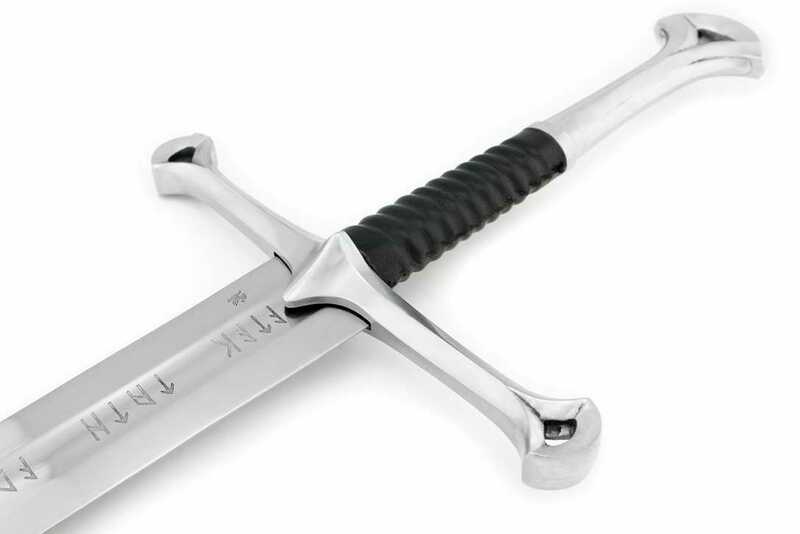 The Anduril battle ready sword is a powerful two handed medieval sword capable of delivering considerable damage. This sword is a dream come true for me. 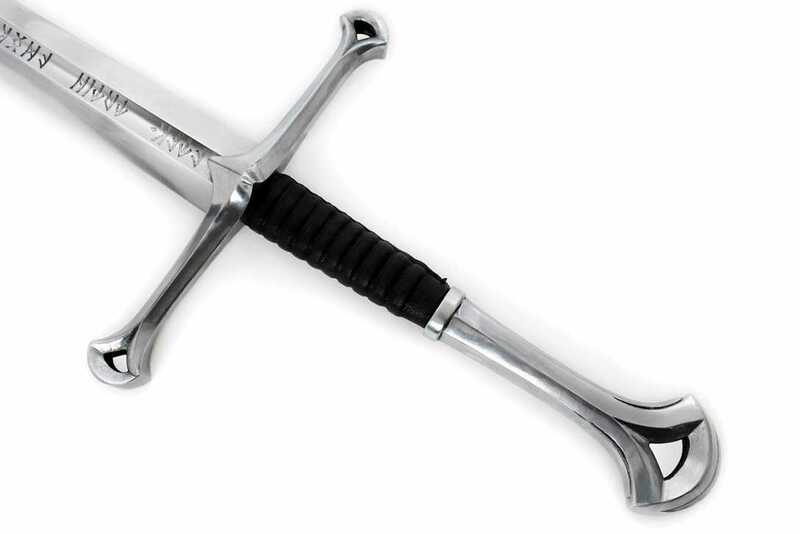 I always wanted a battle ready Anduril sword, and while the official one looks nice, it is just a wallhanger. But this is a REAL sword. Really well packaged, though shipping was a bit on the slow side. 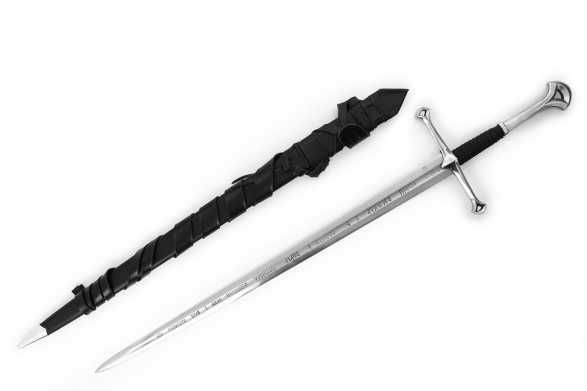 But I had waited 5 years to find a sword like this, so to wait a little longer on shipping was no big problem for me. Shame it is being discontinued. If I could do it all over again I would buy it for sure!